Associations for flocking, coating and laminating sectors of which AIGLE takes part in. 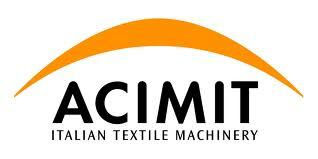 AIGLE takes part in CEAM, the Export Consortium for textile equipment. AIGLE takes part in the Japanese flock association. AIGLE began its activities in 1958 building machinery for the flocking of each type of application. During its first decade, AIGLE contributed greatly in developing the technology of flocking, with particular reference to its application in the textile industry. In 1968 AIGLE began undertaking the production of coating and lamination machinery which was considered as natural evolution from the previous products.